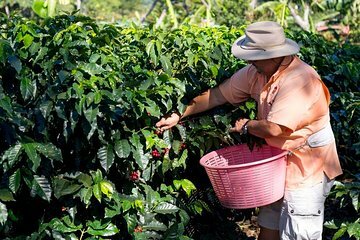 Get the inside scoop on a pair of Costa Rica's most famous exports on a combo tour of the Doka Estate coffee plantation. Learn how coffee beans are grown, harvested, and roasted to perfection, and then follow the sticky-sweet journey of sugar cane at a working sugar mill. Finish the flavorful visit with a tour of the estate’s inedible natural treasures, including hundreds of miniature bonsai trees, colorful orchids, and butterflies. The coffee tour was fantastic. I learned so much about coffee picking and processing. The guide gave many interesting details. We got to touch the coffee beans at several stages, and we got to see much of the actual processing. The sugar cane tour didn't happen. There is an out-of-use partial mill on the premises, which we were welcome to go see, but there was no tour or information involved. I was very disappointed about that. I would love to see the processing of sugar cane.